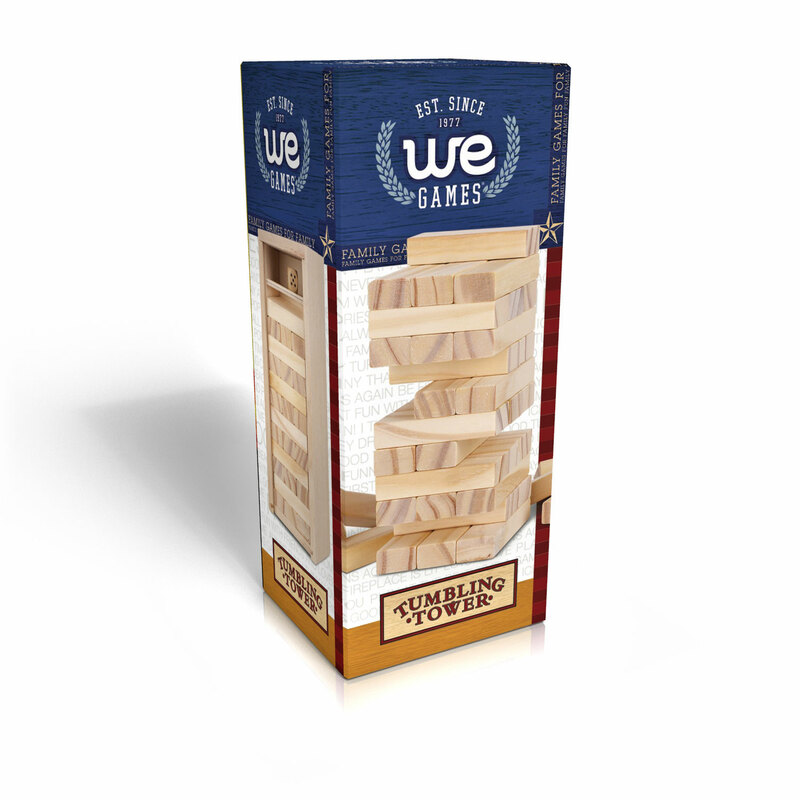 This is the mini-version of the old African building block game of tumbling tower. 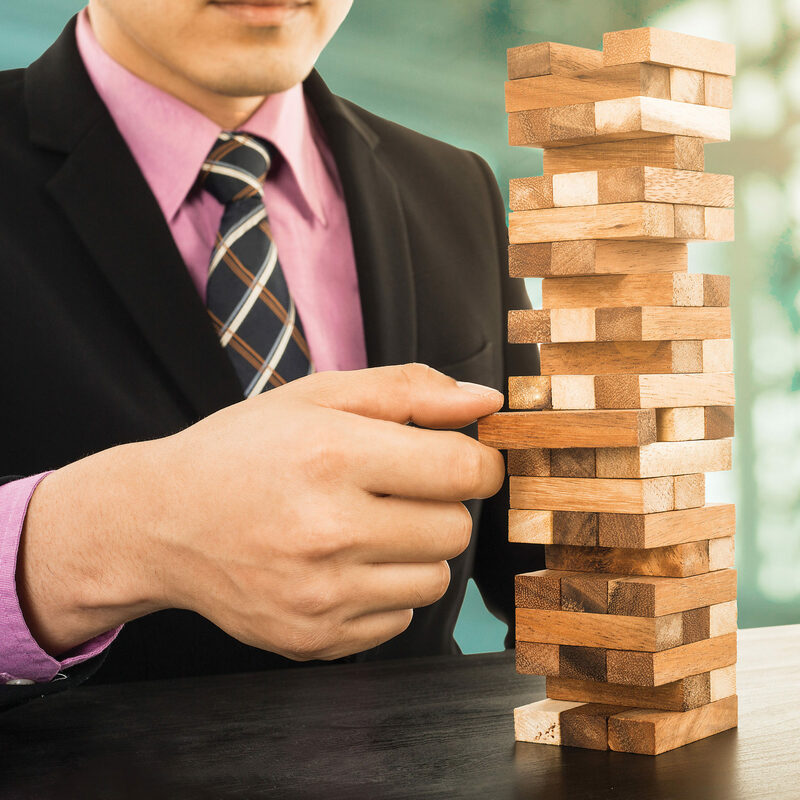 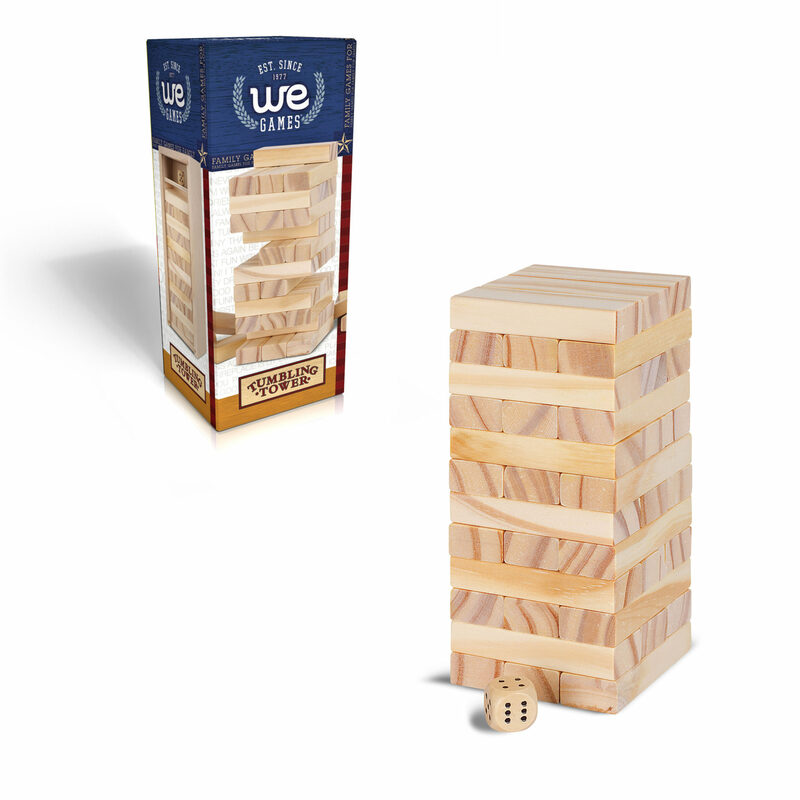 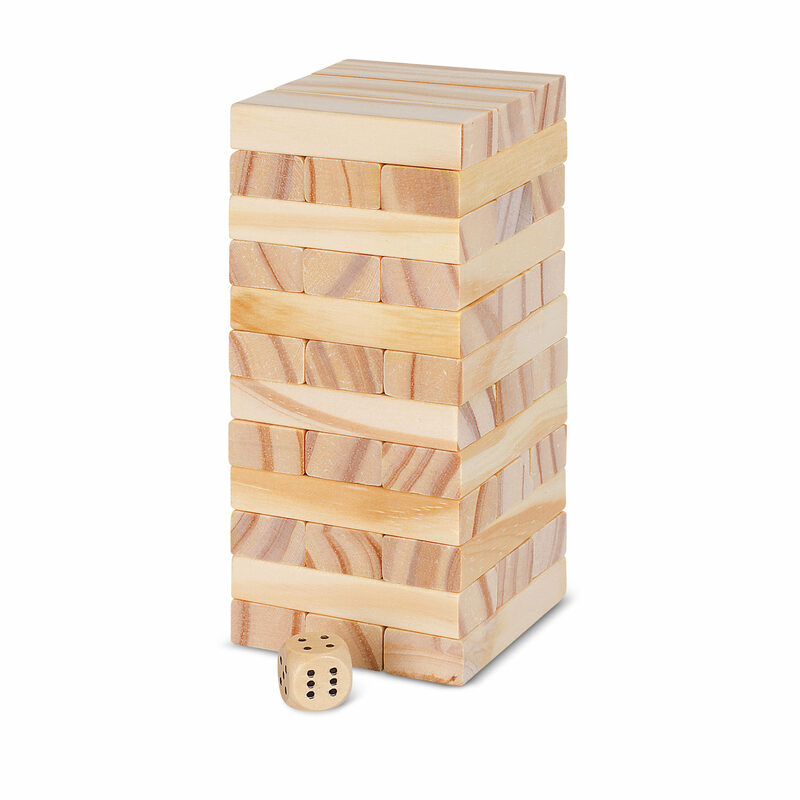 Put your steady hand and balancing skills to the test by carefully removing wooden blocks from the tower one at a time. 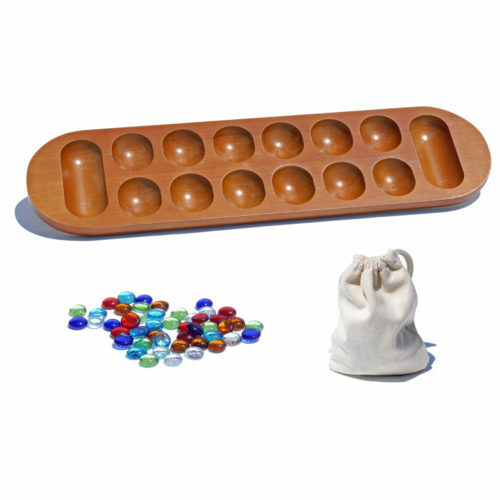 A great game that is simple to learn and everyone in the family can participate. 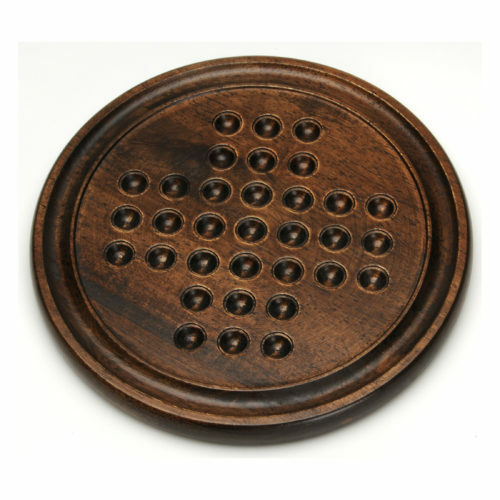 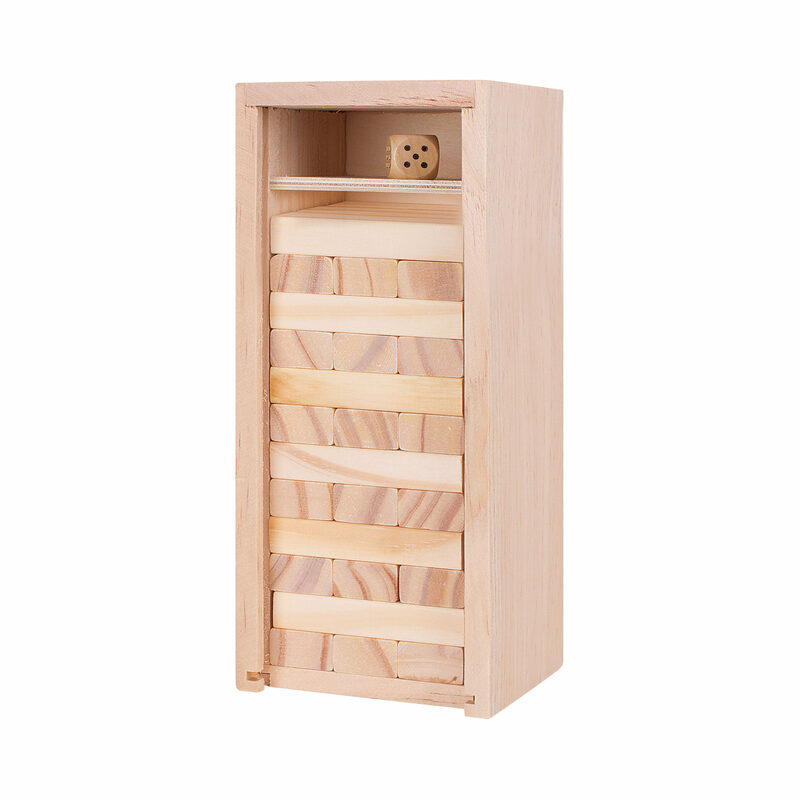 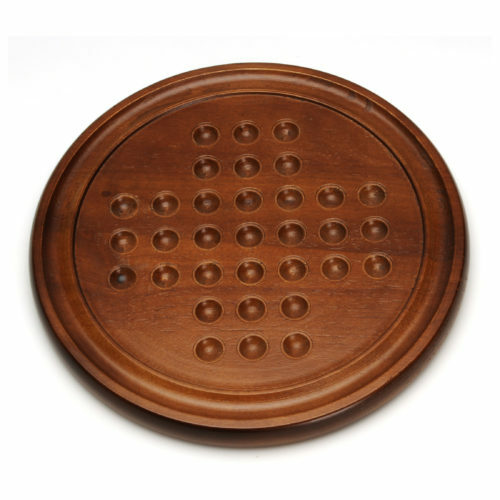 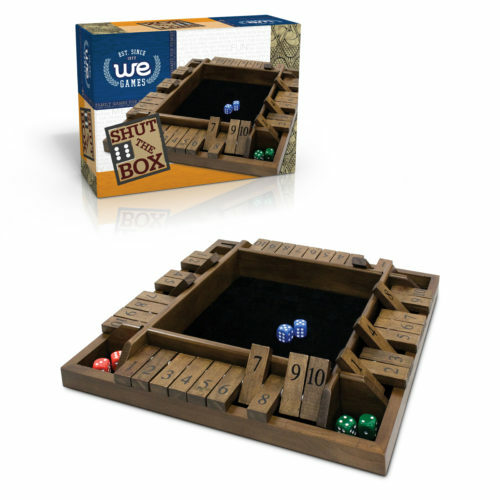 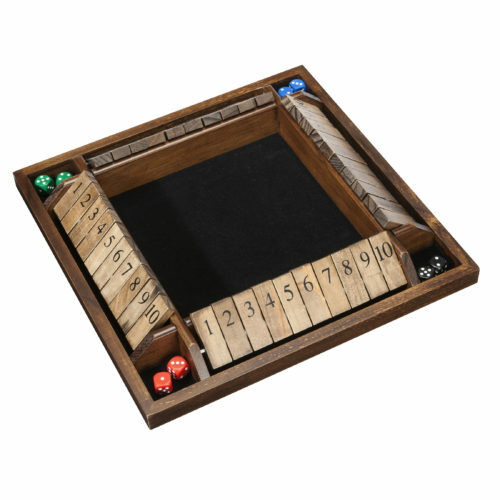 Includes one wooden die to be rolled for determining who goes first. 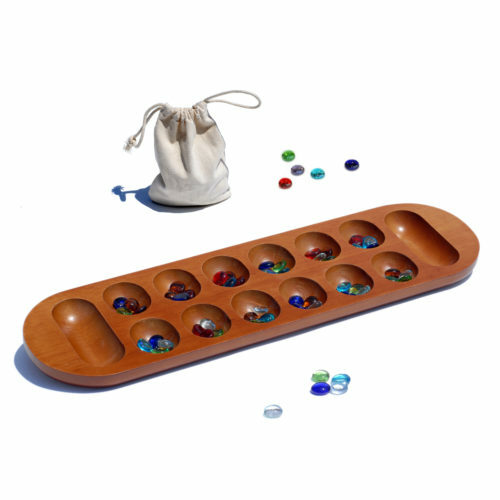 Game too easy for you? 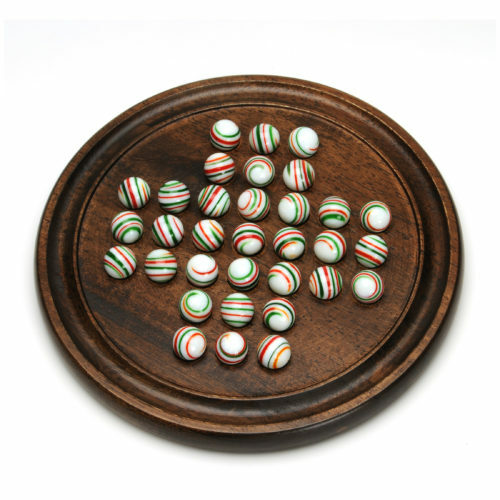 Make it a challenge by rolling the die to determine how many pieces the player must remove during one play. 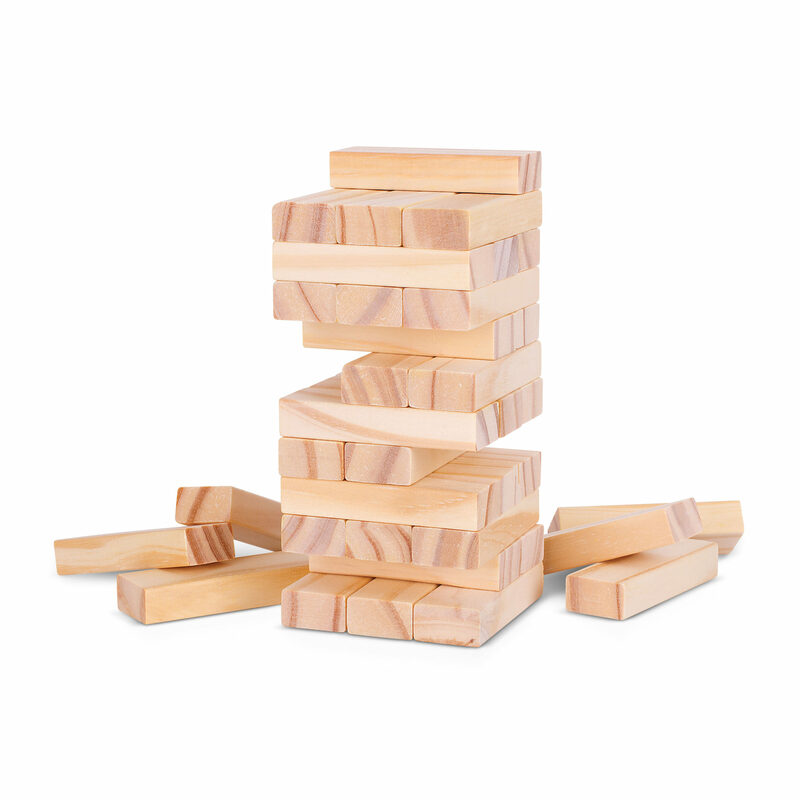 Suspenseful and exciting with guaranteed laughs!